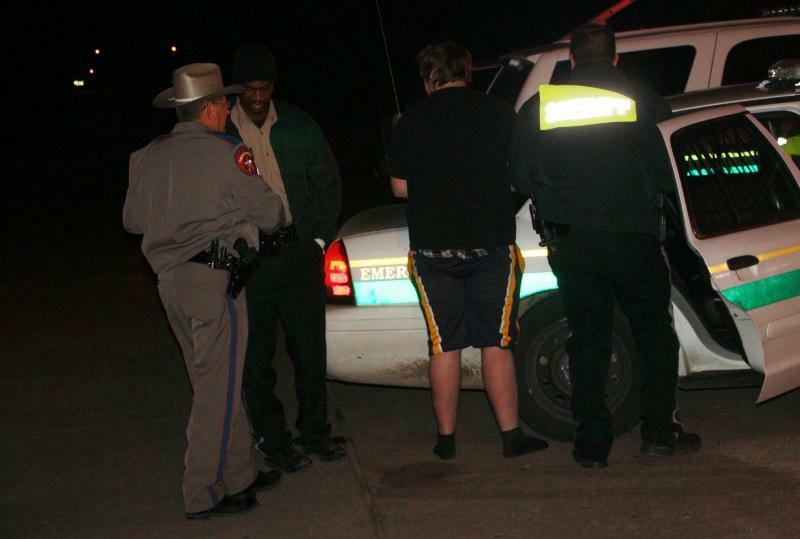 Motorist Andy Schmidt tells what he witnessed to Trooper Darwon Evans. Schmidt provided a written statement. 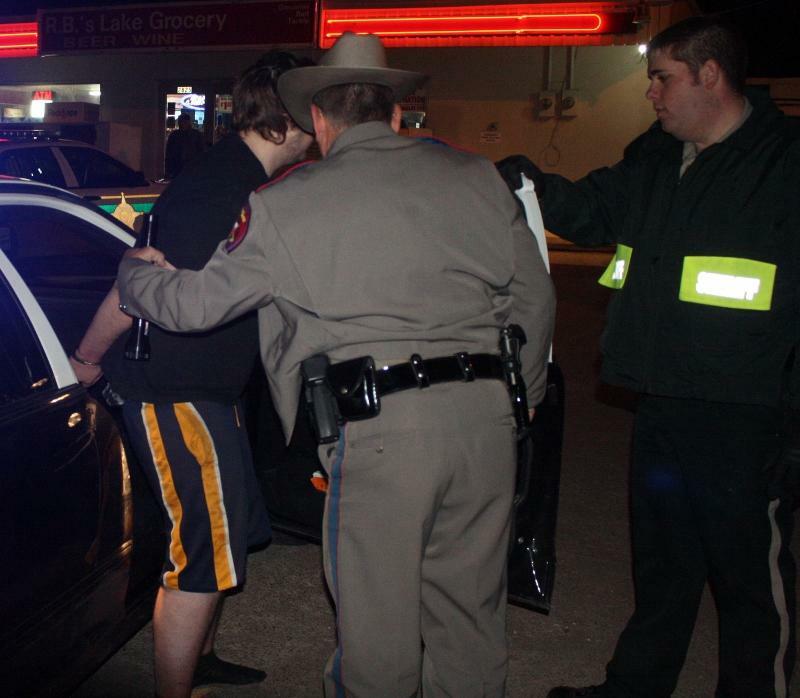 Alert Driver Helps Get Intoxicated Driver Off the Road, LIVINGSTON, January 4, 2012 - At approximately 7:20 pm on January 3, 2012, motorist Andy Schmidt spotted another vehicle on FM-3277 at Fawn Road on Scenic Loop. 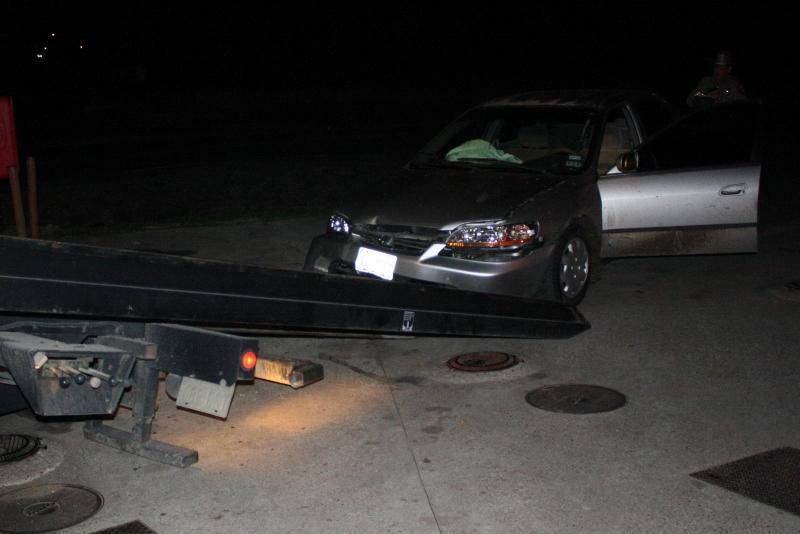 According to Schmidt, the vehicle was weaving all over the road and the vehicle, a tan 1998 Honda Accord, driven by Daniel Crowson, 21, of Livingston had just struck a street sign knocking the sign down. Out of concern for the obvious danger that Crowson was putting other drivers in (in addition to Crowson himself), Schmidt reported the situation to the Polk County Sheriff's Office. Deputy Jacob Chapman was dispatched and caught up with Crowson at RB Lake Grocery on FM-2457. Chapman was soon joined by Sergeant William Jerry. The two observed that Crowson was obviously intoxicated and called for a State Trooper. 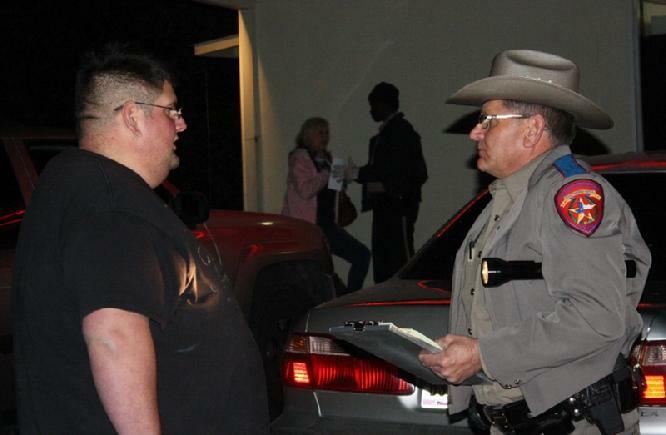 Trooper Darwon Evans with the Texas Highway Patrol arrived and spoke with Crowson. 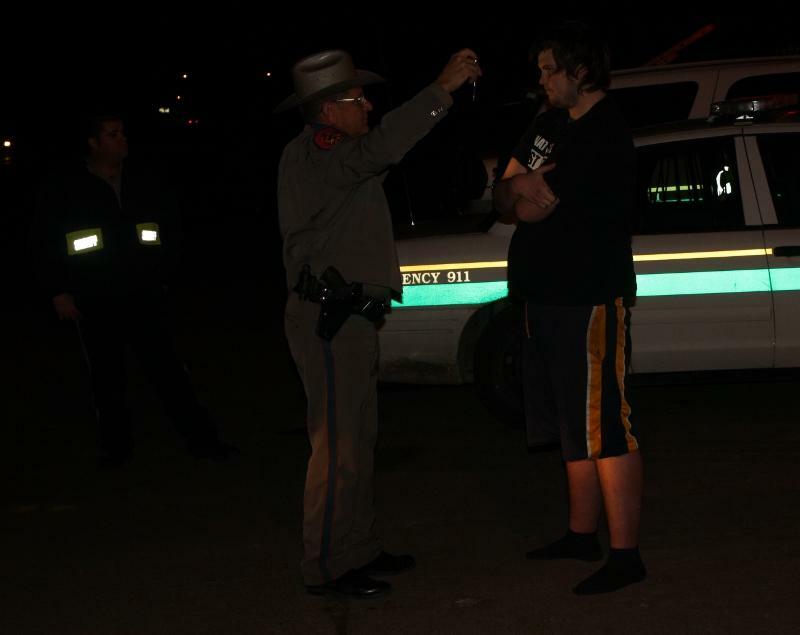 Evans attempted to conduct a field sobriety test on Crowson, but Crowson gave in before even trying admitting his drunkenness. 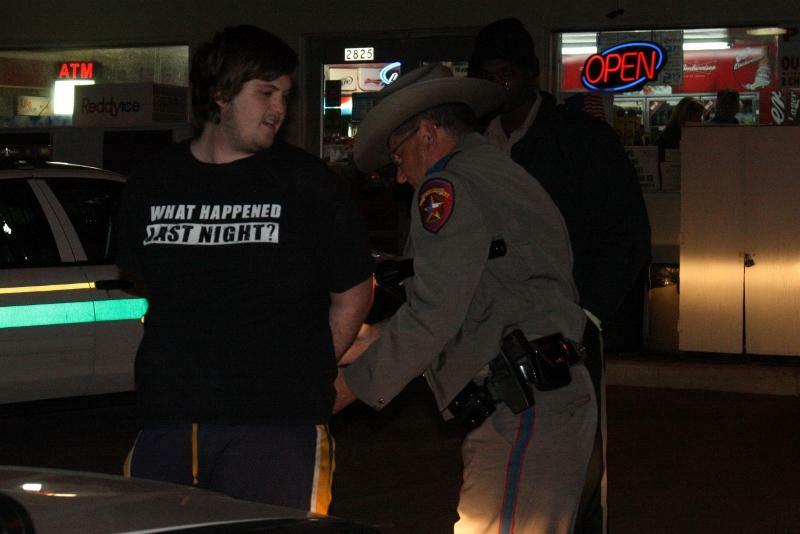 Trooper Evans placed Daniel Crowson under arrest and charged Crowson with driving while intoxicated. Crowson was booked into Polk County Jail. A rollback wrecker from Fawbush Wrecker Service recovered Crowson's vehicle and it will be stored in Goodrich. Daniel Crowson was held by Deputy Jacob Chapman (right) and Sergeant William Jerry, both with the Polk County Sheriff's Office, until Trooper Evans arrived. Trooper Evans conducts a simple eye test on Crowson and can detect possible intoxication. Crowson couldn't even walk a straight line and admitted he was drunk. Evans placed Crowson under arrest. Crowson was beligerant and used foul language. Trooper Evans loads Crowson into a unit as Deputy Chapman watches. 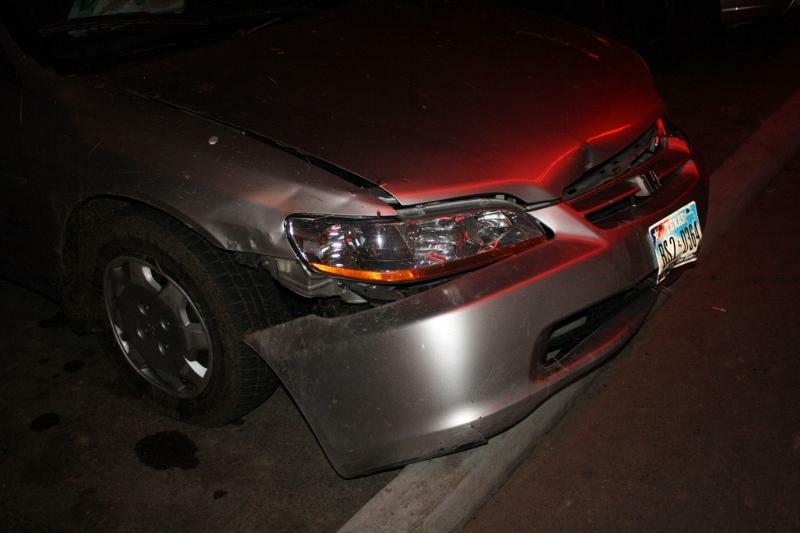 Crowson's 1998 Honda Accord shows front end damage from when he allegedly ran over a street sign. 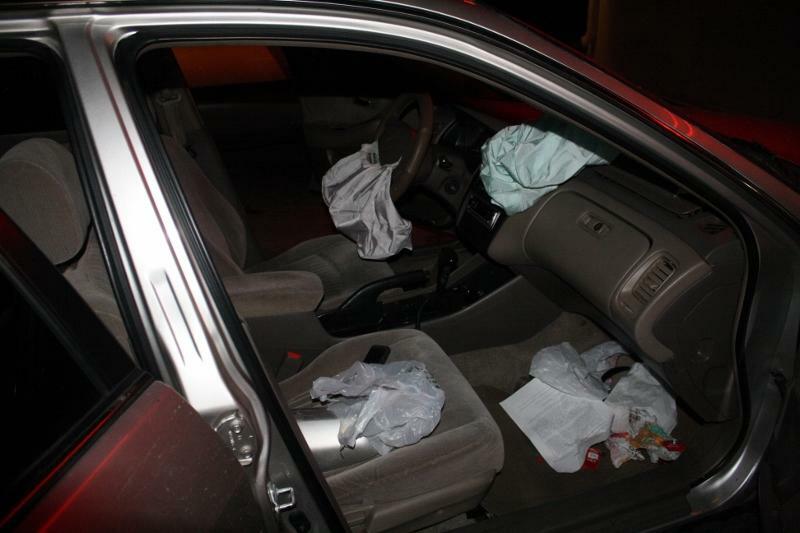 Airbags on Crowson's vehicle were deployed. 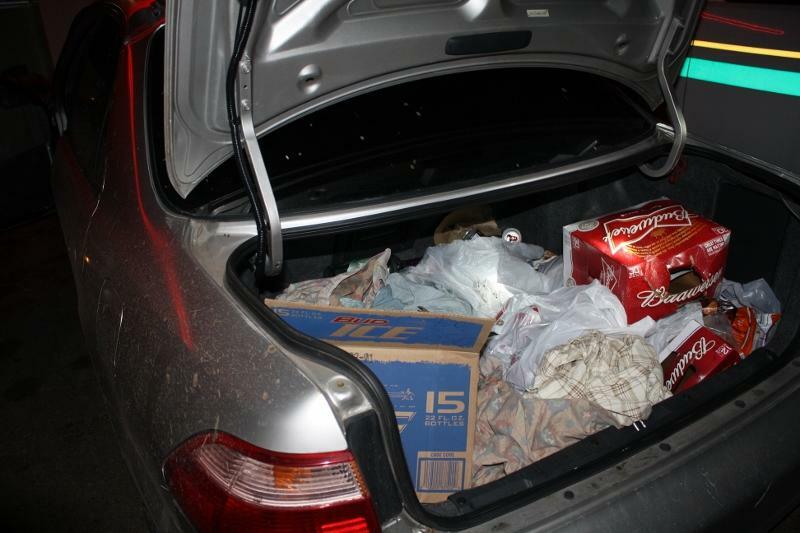 Crowson also had a very messy trunk. Crowson's vehicle was recovered by Fawbush Wrecker Service.